With less than two weeks to go until the "All-Philly War" between USBA Champ Derek Ennis and mandatory challenger Gabriel Rosado, I can't express how excited I am for this fight to come off. In fact, I find it difficult to contain myself. This fight is such an interesting style match - a stylish boxer against a tough puncher. Both fighters are riding into their primes. It is a classic Philly vs. Philly throwback fight. And there is much at stake - the USBA belt and a top-ten world ranking. You can't get much better than that. I honestly think the fight is going to be a memorable one. It could have easily fit in as a main event during the glorious old Spectrum era. But if I take a moment to really consider how it will feel when the smoke clears after the scheduled 12-rounder on July 30th, I have to admit that as excited as I am for this fight, there truly is a downside to two top guys from the same city squaring off. No matter how great the win will be for one of them, the other has to lose. As one of Philly boxing's biggest fans, I've rooted for both of these guys for so long. For years, they have been developing in the local clubs and occasionally venturing out into the world for bigger fights. They have both appeared on national television. They are both good guys with excellent teams. They both are on the brink of bigger fights, bigger money and the dream that they have been cultivating since their childhood. And on July 30th, they get their chance to move up and move on toward the thing they have been reaching for. However, this will be the case for just one of them. For the other, the one who comes away with an "L", it will be the biggest disappointment of his career. That is a serious downside for fans. At the same moment we are happy for the winner, everyone watching will have to consider the loser of the fight. Talk about a buzz kill. Both Ennis and Rosado need to win this one. Both of them are capable of pulling off the victory. 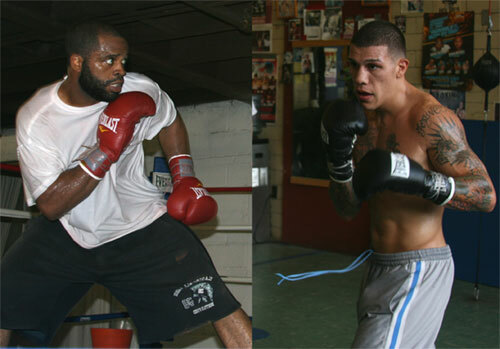 Ennis has big advantages in hand speed and accuracy, while Rosado scores higher in power and experience. The fight is a toss up. 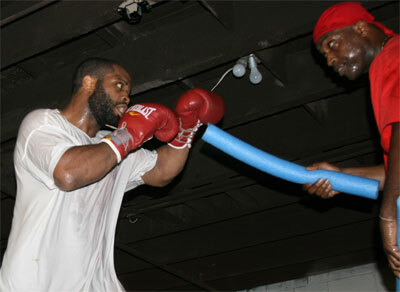 In their respective training camps, both fighters are preparing for the fight of their life. They both appear focused, in condition, and ready to go. And neither guy is thinking about anything except winning this fight. 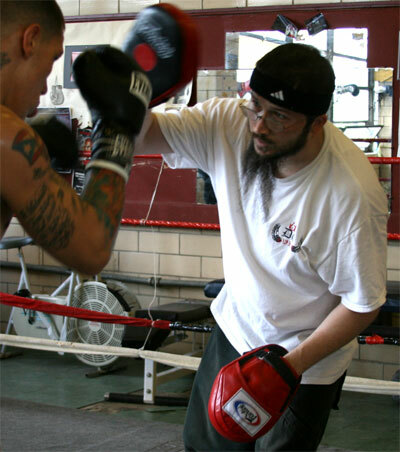 "I think this is everything me and Billy have been training for," Rosado said from Billy Briscoe's boxing gym at the Rivera Rec Center in North Philly. "We've been fighting tough guys, a former world champion, and now we're finally getting a title shot, and all the hard work and big fights are going to pay off for this fight." 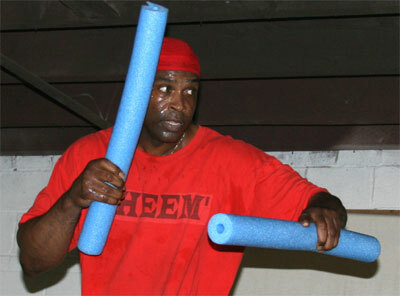 After a recent workout at the Germantown gym run by his father Bozy, Derek Ennis said, "After I defend this belt, I should be somewhere in the top five of the IBF. I just look forward to getting done all this work and having a good fight. And then we'll see whatever comes next." So they are doing their best not to look past this very tough bout. Philly boxing history has been built upon such cross-town rivalries. There was a time when Philadelphia had so many good fighters in each weight class that they had to fight each other to move up the national ladder. These days, that is not the case. Today two top Philly guys fighting each other is a rarity. Our fighters are used to battling it out for bragging rights in the gym, but not in the ring that counts. 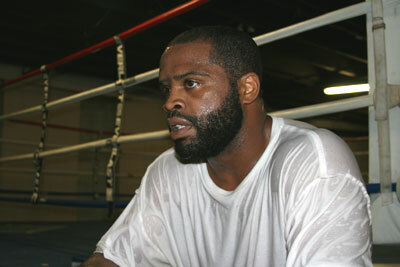 But when it comes to fighting a fellow-Philadelphian, both fighters seem to have it in perspective. "I think it's easier because it's a title fight, and because it's a mandatory challenge. So we're fighting for a reason. 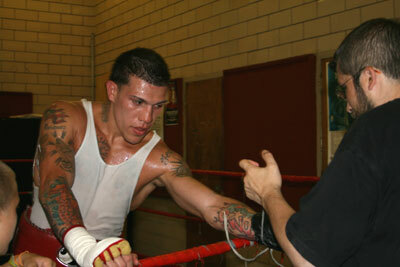 We're not just fighting to fight," said Rosado. Ennis feels the same. "It don't bother me. We're are all right. We speak. After the fight, we'll be the same. I got nothing against him. After this fight, we can help each other with our next fight. 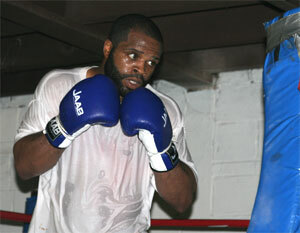 For all I care, we can help each other with THIS fight," Ennis said. So the boxers aren't over complicating the Philly vs. Philly issue, even if I am. I just can't stop thinking about Sugar Hart and Charley Scott and how they fought each other and ruined each other. They weren't alone. It's happened many other times as well. But I guess that danger, and all this back story of cross-town rivalries, is one of the things that makes this fight so special. I think we should all watch this one and just enjoy it for the good fight that it should be, and for the little piece of the big puzzle of Philly Boxing History that it represents. 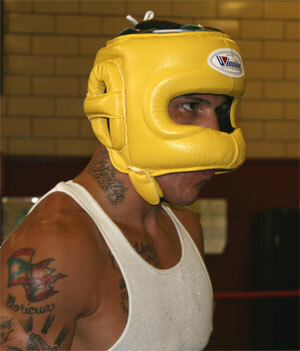 If Ennis and Rosado can stand up to this pressure, then I guess I can too.